The Sievi Comfort Insoles� surface material is polyamide which transfers moisture from the feet to the lower layer of the insoles. Feet stay dry and comfortable. The heel of the shoe is designed to keep the heel of the foot in its optimal place. Antistatic and breathable Sievi Comfort Insoles comply with ESD norms and are machinewashable at 40˚C. 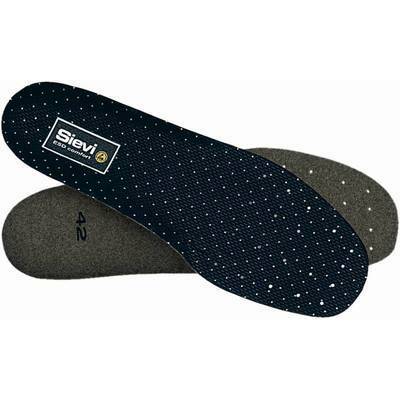 Sievi Comfort XL Insoles have a XL widht.